Five tips to get rid of the grumps! Have you ever woken up feeling grumpy? If so, it’s time for some happiness first aid. 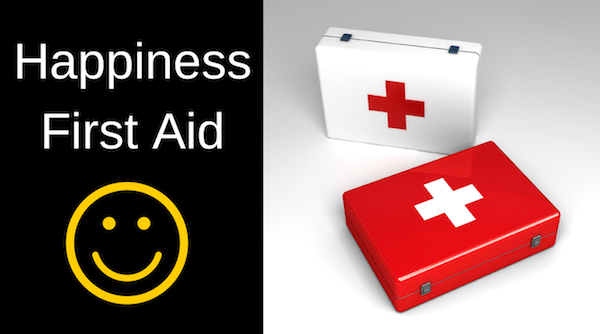 The definition of first aid is the provision of initial care for an illness or injury. I know that feeling grumpy isn’t quite an illness or an injury but it does require some initial care if you don’t want it to ruin your day. Every day on this planet is precious so why not do all you can to enjoy it. Make sure you watch the video below to learn how you can apply happiness first aid to help you get rid of the grumps. Warning; you may see some really uncool dancing – just say’n! Now that you have watch this video you are a qualified happiness first aider. Make sure you apply LAUGH when ever you can and make this world a happier place to live in.